I was hoping to do a review of the Looking For Raid difficulty level of Mogu’shan Vaults in this piece. Unfortunately, with uni work due and the reluctance of a fresh raid to pop up (so far I have had the option to join raids with at least 2 bosses down) I have been unable to get a decent feel for the raid. So more on that in a later column. 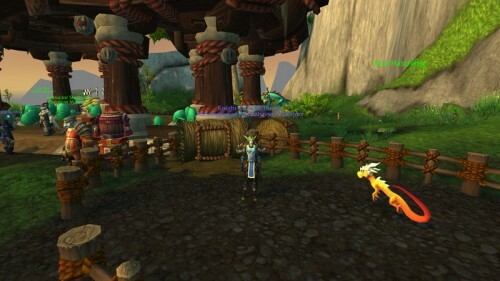 I have elected to go with a look at the various dailies we have access to in Mists of Pandaria. Ever since the release of Wrath of the Lich King, players have been accustomed to fast, efficient reputation grinds. We hit max level, or even smiley equipped a tabard as we levelled and our reputation levels increased as mob kills in dungeons accumulated. 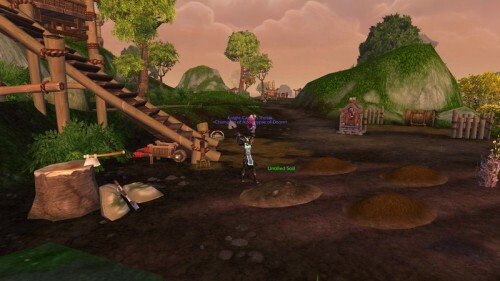 Those days are well and truly over – whether you liked the speed with which you maxed out reputation and acquired items or hated it, Blizzard have returned to the grind method of reputation gain. Daily quests have superseded Tabards and dungeons as the way in which reputation is gained. While not all of the dailies unlock at level 90, a huge portion of them do. Daily quests have been a part of the game for several years now and in this expansion they have truly stepped into the WoW spotlight. Prior to the launch of Mists of Pandaria the vast majority of dailies included killing x amount of mobs or collecting x amount of an item. Whilst this style of daily quest is still present, the sheer amount of variety in daily quests has greatly increased. We now have access to quests such as the Tillers dailies which range from planting, watering and harvesting crops to stomping on marmots and Virmen. The quests for the Order of the Cloud Serpent include quests to play catch with a future companion and we also have access to archaeology and pet battle dailies (provided certain achievements have been met). Love them or hate them, daily quests are here to stay in Pandaria and I am of the opinion that it is a good thing. By tying reputation to daily quests Blizzard have put a hard cap on just how much reputation we can gain per day. This enables them to control the rate at which people can gear up and progress through content. I am really enjoying the new style of daily rep gains. The story line being intermixed with them is also a huge bonus.